Come celebrate the holidays with KCPA! 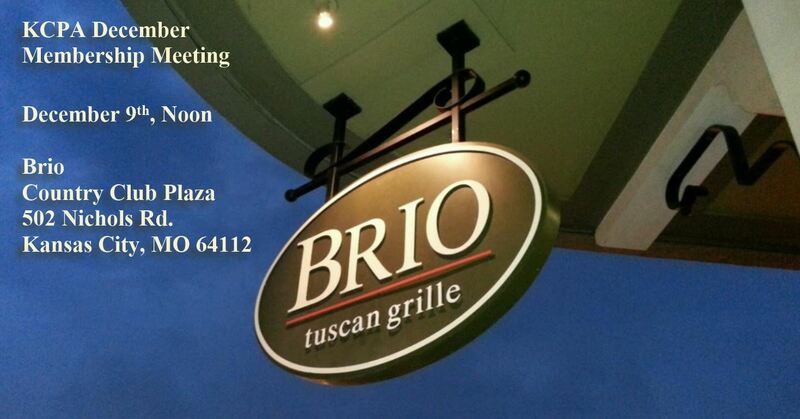 We are having lunch at the delicious Brio on the Plaza and a representative from CASA will be speaking to us about their work, helping area families. We will be accepting cash and check donations for CASA and recommend a $20.00 donation as a great (and deductible) way to show our Association’s holiday spirit!